Torben Schousboe’s notes in his edition of Carl Nielsen’s Diaries and Correspondence with Anne Marie Carl-Nielsen (Gyldendal, 1983) include further details about their relationship, including a more detailed reference to Carl Nielsen’s two illegitimate children, his son Carl August Nielsen (b. 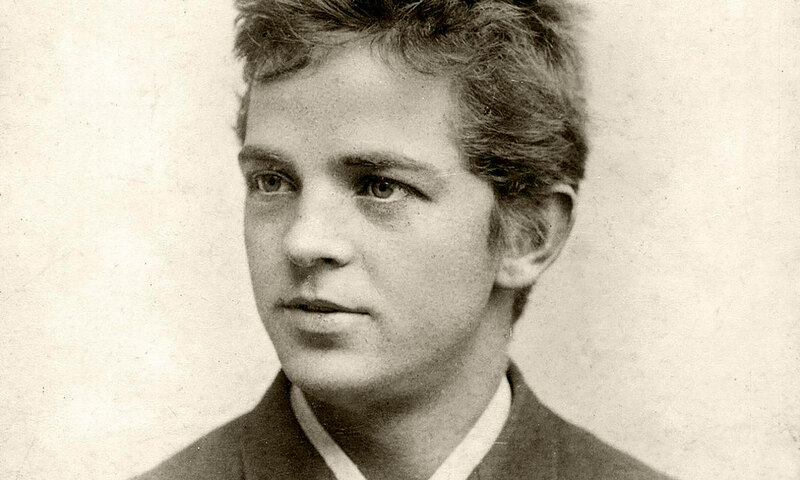 1888, originally baptised Hansen after his mother), who had been born in Carl Nielsen’s student years and whom Anne Marie had offered to adopt; and his daughter Rachel Siegmann (b. 1912), about whose existence Anne Marie presumably knew nothing. There was a professional crisis as well. Although Carl Nielsen had tried to protect himself with a very detailed contract, his position as conductor at the Royal Theatre soon caused him more trouble than satisfaction. Frederik Rung was quite often ill, and he apparently did not much appreciate Nielsen’s interpretations either. This caused friction when they had to take over performances from each other. At the same time a competitor had emerged – and a competent competitor at that, whose career advanced in much the same way as Nielsen’s had done. Georg Høeberg (1872-1950) had also been a second violinist in the Chapel Royal Orchestra. He too was a composer and conducted at the Royal Theatre for the first time when his opera “Et Bryllup i Katakomberne” (A Wedding in the Catacombs) was produced during the 1908-09 season. But, unlike Nielsen, Høeberg would visit the bed-ridden Rung to go through the relevant scores with him, and then attempt to realize the principal conductor’s intentions. The management was therefore in a tight corner when, during the 1912-13 season, serious disagreements arose between the bed-ridden Rung and Carl Nielsen. In the light of a certificate from Rung’s doctor, the management eventually felt compelled to take a new production of Wagner’s “Tristan and Isolde” out of Nielsen’s hands and postpone the performance. Høeberg had been appointed acting conductor, and when Rung died in January 1914 it was natural to appoint him permanently. After an attempt at negotiations the management decided to make Nielsen and Høeberg conductors on an equal footing. But “Tristan and Isolde” was given to Høeberg, who, at the end of the dress rehearsal, received the traditional Danish/Scandinavian musical ‘hurrah’, an [impromptu] fanfare in D major, from members of the orchestra. Carl Nielsen, in frustration over the management’s course of action, resigned with effect from the end of the season. He claimed, without any real basis, that he had heard of Høeberg being appointed on the same footing as him through the press and not directly. He gave his last performance on 30 May 1914, when “La Bohème” was performed as a benefit – though not for Nielsen’s benefit, for he was now without a regular job. A new prestigious, but economically less beneficial, job opportunity would soon turn up, however. It may be argued, though, that when Nielsen succeeded the late Franz Neruda (1843-1915) as leader of the Copenhagen Music Society in 1915, this venerable institution in Danish concert life had already lost some of its leading status. It had been founded in 1836 and had started its concert activities the following year. In 1850 Niels W. Gade, returned from Germany in 1848 at a time of political crisis in Denmark, took over the leadership – a post he kept until his death in 1890 which gave him colossal influence on Danish musical life. For his first concert Nielsen wrote the music for In memoriam, a prologue for recitation and orchestra in memory of Neruda, and later on in the season he programmed the first performance of his Fourth Symphony. The idea of one big work without separate movements is said to have come from Liszt’s great piano sonata in B minor, which his friend Henrik Knudsen had played for him. The programme on 1 February 1916 at the Music Society was exclusively Danish and included Kunzen’s overture for the opera “Erik Ejegod,” J. P. E. Hartmann’s “Prophecy of the Sybil” and Niels W. Gade’s Holy Nightbefore the interval; Nielsen’s new symphony was the only item in the second half.